J. Cole’s year just continues to get better. 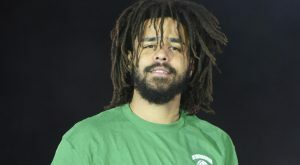 On Friday (April 12), the Recording Industry Association of America announced via Twitter account that J. Cole’s “Middle Child” is the first song to go multiplatinum in 2019. The T-Minus-produced track, earned both gold and platinum certifications on March 4. After now moving 2 million units, it was certified twice platinum on April 12.